LAMALA = “bottle”. I’ve already blogged today on another subject, and I’ve already blogged about the word that’ll be in focus here — so this will be brief. 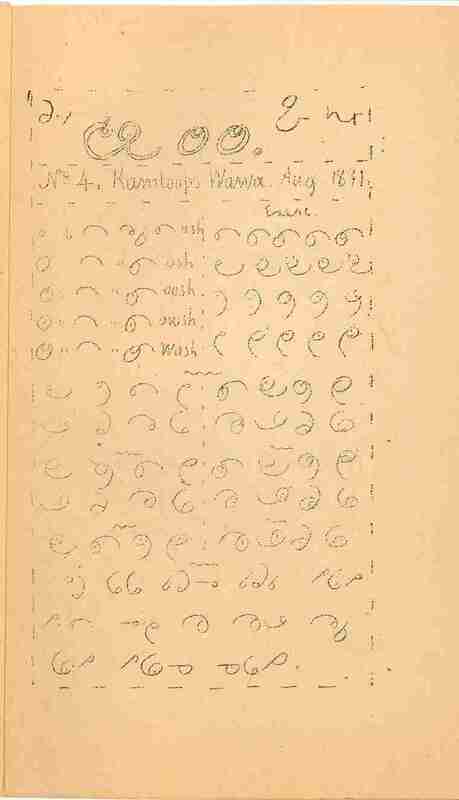 Looking at issue #4 from the very beginning of the longish life of the newspaper Kamloops Wawa (it’s date August 1891), I’m reminded that Father Le Jeune launched this publication by cleverly making the first several issues a primer in Chinuk pipa shorthand. On this issue’s front page, which we can number as , Le Jeune shows the newly literate how to join shorthand letters together. Because this is a cursive alphabet, you see. We’re presented, in the first many lines, two columns with several examples of letters getting joined into nonsense syllables for the sake of illustration. Then, for more useful writing practice, Le Jeune appears to decide to give us examples of actual Jargon words. Third line from the bottom, then, we have ANA (“oh my!”), MAMA (“mother”), KANADA “Eastern Canada”, KANAKA “Hawai’ian/Pacific Islander”, and…LAMALA! I went back to Samuel V. Johnson’s 1978 dissertation to make sure whether this word is in his lexicon compiled from many CJ sources. Nope. He has four other words for “bottle”, including a mistaken one where he read “kottle” where John B. Good (1880) actually wrote “kettle”. But no LAMALA. This word is known from the Lillooet Salish language, with the super-frequent Salish noun prefix s- on it: slamála, sləmála. (See page 170 of Jan van Eijk’s marvelous freely published dictionary.) Following the Chinook Jargon loan lam “alcohol”, it’s got a Lillooet suffix -ala meaning “container/holder” (see page 430 of the same dictionary). We’ve previously encountered this word LAMALA in the Jargon and outside of Lillooet territory. Finding Le Jeune using it without a second thought in a list of what he considered readily identifiable CJ words…well, that’s what I’m going to call confirmation. Add this to your dictionaries, at least as a regional CJ synonym for “bottle”. The neutral Jargon word is laputay. 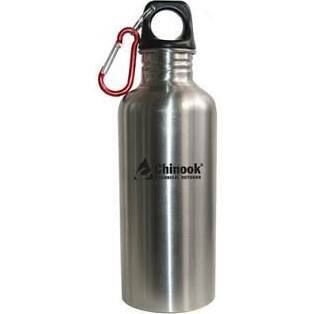 In the Kamloops area, “bottle” was also understood. In the early history of the Jargon, around the lower Columbia River, lawulich was known — and I have been developing a suspicion for years that this is really again lam “alcohol” in disguise — we know for certain that /m/ received highly variable pronunciations in that region — plus a Tsamosan (perhaps Lower Chehalis) Salish suffix for “container” that we also find in CJ t’amulch <tamolitch> “barrel”. So this would be an older synonym but formed in quite a parallel way to LAMALA. Wow! Great detective work. It is common to see lists of words coming from different languages. It is challenging when one word comes from two different languages.